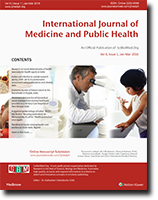 R. Gupta, Sharma, S. , and Gupta, B. M. , “Indian contribution to suicide research during 2005–2014: A scientometric assessment using publications and citation data”, International Journal of Medicine and Public Health, vol. 6, no. 1, pp. 4-12, 2016.